IT’S BEEN a bad month for our railways. In fact a very bad month, with so much adverse publicity stemming from a variety of problems – some of them self-inflicted. The big news was the Government’s decision to pull the plug on the Virgin/Stagecoach joint operation of the East Coast franchise, reverting to state control again until a new operator can be chosen in around two years time. It is the third failure in 10 years, so starts to raise many questions about the Government’s franchising model. 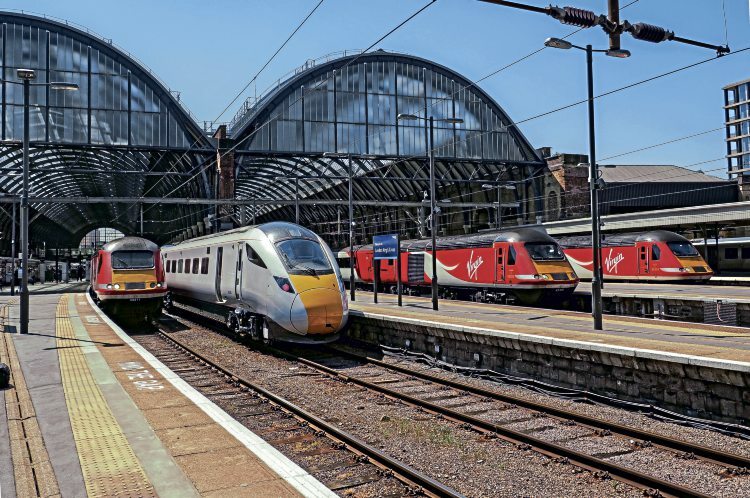 As the Virgin East Coast franchise was one of several facing financial problems over what it promised to deliver in respect of premium payments, to what can be achieved, it begs the question whether the current process remains fit for purpose. Making the headlines for all the wrong reasons was the May timetable changes – the biggest for a generation. The changes should have been seamless. However, in reality, it was anything but, with passengers on Govia Thameslink and Northern describing it as a nightmare. In short, the problems stem from a combination of late project completion, poor planning, incomplete driver training, a driver shortage, insufficient trains, and late notification of timetables, leading to chaos on the busy lines of two of the country’s biggest franchises. Passengers have faced daily cancellations (see right) and many have been left behind because trains had fewer carriages. The national media called it ‘a meltdown’. On occasions, it seemed there were more cancellations and delays than trains running to time. Prior to the timetable change, engineering work on the Brighton Main Line over the May Day Bank Holiday led to ‘bustitution’ for passengers trying to get to and from Gatwick Airport – the UK’s second busiest – with queues of two or more hours, because Southern failed to provide sufficient buses. Then, some drivers were ‘lost’ and had to be directed by passengers. During these chaotic delays, passengers who have dared to complain about cancelled and late trains via Twitter have found themselves blocked by the train operator’s social media department. On the Midland Main Line, some passenger journeys under the revised timetable have actually been extended in duration (giving passengers a slower service than some years ago) to allow all the extra Thameslink trains to run – but as it happened, many of these extra trains were cancelled in the first weeks of the new timetable for reasons noted above. The national press has – rightly – vilified several train operators for mismanagement and poor communication over the barrage of cancellations stemming from the lack of trains and lack of drivers with the required route knowledge. On-going strikes and distortions of fact through social media by operators haven’t helped calm the situation either. Having written about railways for 30 years, I cannot recall such an unmitigated shambles at a previous timetable change. Yes, there is often some minor disruption as things settle, but the net result of these latest changes is that the tremendous work achieved over many years across the industry building up the profile of rail travel has spectacularly unravelled. Northern and Network Rail have announced an independent inquiry into the preparations and process leading up to the implementation of the timetable change. Is the infrastructure up to the task? Was the timetable too ambitious? Do the trains have the required reliability for such an intensive service? Did Thameslink have enough driver resources for the planned timetable, and if not why not? Scenes of overcrowded trains and platforms in the first week of the timetable (see p6) were an embarrassment to the rail industry and no manner of apology will suffice. Another worrying factor is the number of Thameslink services are not up to the 24 peak-time trains per hour through the ‘core’. Like Northern, an independent review of what went wrong at Thameslink is very much needed, and I wouldn’t be at all surprised if the Transport Select Committee takes a close interest as they have done with the failed East Coast franchise. Next Post:PRACTICE & PERFORMANCE: PRE-GROUPING PERFECTION?